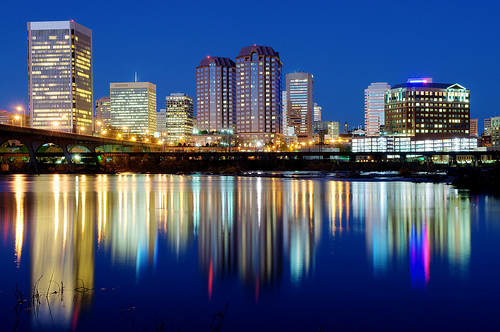 About Us | Key Personnel, Inc.
Key Personnel, Inc. began operations in October, 1998, providing professional staffing service to Richmond area companies. With initial focus primarily on executive recruiting, Key Personnel, Inc. successfully serves many of the Commonwealth’s Fortune 500 companies. Expanding our operations during the second quarter of 1999 permitted growth into the interim labor market, while also maintaining its direct hire business. The temporary staffing sales have more than doubled each year and is currently being provided to well known Fortune 500 companies from the manufacturing, distribution, financial services, energy, real estate investment, and security industries. Key Personnel, Inc. is also proud of a growing number of governmental clients. Key Personnel, Inc. takes very seriously the placement of its employees at client sites. These employees are a reflection of Key Personnel and, therefore, must represent and perpetuate the reputation we have developed over the years with our many clients. It is, in fact, our reputation for providing quality professionals that has opened the door for us to do business with the many of the nation’s largest employers. Each employee is behaviorally screened, can be background checked locally and nationally, reference checked, and proficiency tested with computer-based software on accounting functions from accounts payable, accounts receivable, bookkeeping, payroll, general accounting, cost accounting, and taxation, all software needed for any level of administrative and/or clerical functions, including data entry and the entire Microsoft Office Suite, procurement and human resource functions, commonly used accounting software and large-scale ERP platforms. We have created an environment and company culture where all temporary and permanent employees are respected and treated as professionals. They are, therefore, committed to making a good representation at client locations on our behalf. This approach also guarantees a healthy and constant stream of employee referrals, which lowers our recruiting costs. These savings are passed along to our clients in the form of competitive pricing. It also affords us the opportunity to continually add new employee benefits.